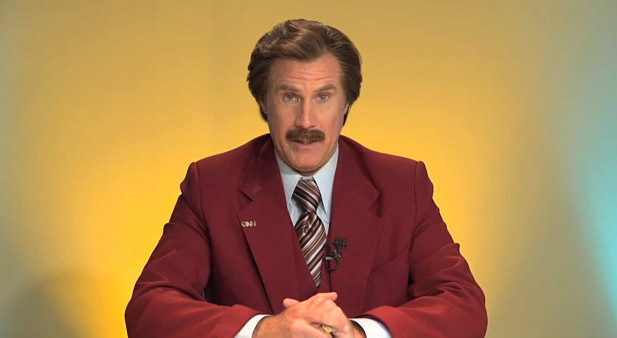 FICTIOUS anchorman Ron Burgundy has lived up to his own words that he's kind of a big deal. The sequel to 2004's Anchorman: The Legend of Ron Burgundy, Anchorman 2 grossed an impressive AUD$1.395 million on its opening day yesterday. It's a better opening day result than The Great Gatsby and Thor: The Dark World. When combined with Wednesday's preview screenings, Anchorman 2: The Legend Continues has raked in $1.756 at the Australian box office so far. The film, which saw the reunion of cast members Will Ferrell, Steve Carell, Paul Rudd, David Koechner and Christina Applegate, was heavily promoted through amusing stunts like Ferrell co-hosting news casts both in Australia and overseas as Burgundy.